Canadian Invictus Games athletes gather for a photo in Halifax on July 25, 2018. The Canadian military has officially announced the names of the 40 athletes who will compete for Canada at the 2018 Invictus Games in Sydney, Australia. The international sporting event, slated for Oct. 20-27, is aimed at harnessing the power of sport to inspire the recovery and rehabilitation of physically and mentally injured military personnel and veterans. 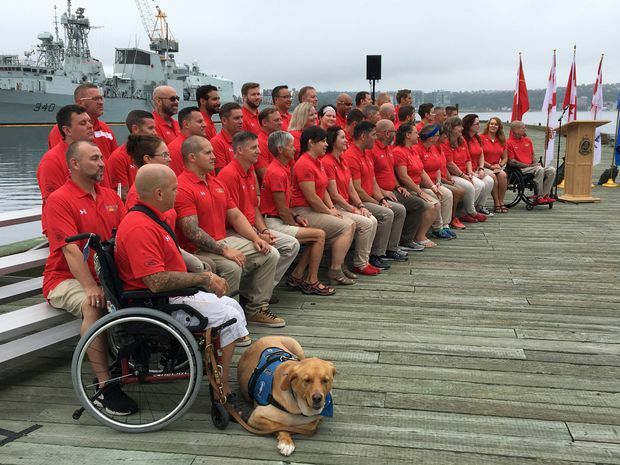 At a ceremony Wednesday on the Halifax waterfront, members of Team Canada gathered on a Royal Canadian Navy jetty to hear a number of speakers, including Michael Burns, CEO of last year’s Invictus Games in Toronto. More than 500 competitors from 18 nations are expected to compete in 11 different events, including archery, powerlifting, indoor rowing, cycling, sailing and wheelchair basketball. Prince Harry, who served as a soldier in Afghanistan, created the Paralympic-style games in 2014. The members of Canada’s team, who come from across the country, are taking part in their second, and final, training camp at Canadian Forces Base Halifax and nearby 12 Wing Shearwater. Many will compete in different sports, which means Canada will have competitors in all 11 events. The team includes 18 members of the Armed Forces and 22 veterans, who acquired an illness or a physical or mental health injury while serving in the military. Brig.-Gen. Mark Misener, commander of the military’s Joint Personnel Support Unit and the head of mission for Team Canada, said the team members each bring a high level of dedication and perseverance. 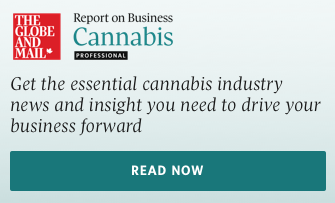 “All were faced with a mental health or physical injury but through reaching out to others, getting involved in sport, and their own courage and determination, they have been able to overcome the challenges they faced,” he said. The Games last September in Toronto attracted international attention when Harry and his then-girlfriend Meghan Markle were photographed at a tennis match holding hands for their first official appearance together. Several days later, Harry was photographed kissing Markle on the cheek as he joined her and her mother in a luxury box to watch the event’s closing ceremony.